Here at Gattis we have Enrichment clusters on Fridays. 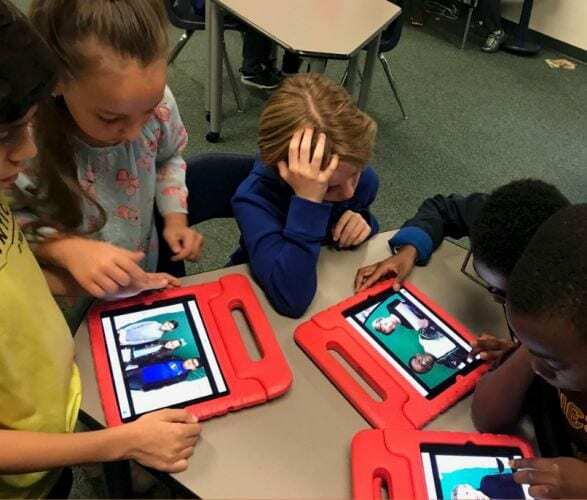 Miss Hintz, our Instructional Technology Specialist and Mrs. Tilger, a Third Grade Teacher worked with a 2nd and 3rd Grade group on a cluster called iPads. In this cluster students reviewed some new to Gattis iPad apps. They worked as a pair or small group to then come up with a video review to share with other students on the morning announcements. Using the greenscreen app DoInk and iMovie students then edited their videos for the final publication. Watch their fabulous iPad app reviews here. Maybe you will be convinced to try a new app today!